We are the well known Exporter and Trader of Narrow Mouth Reagent Bottle. 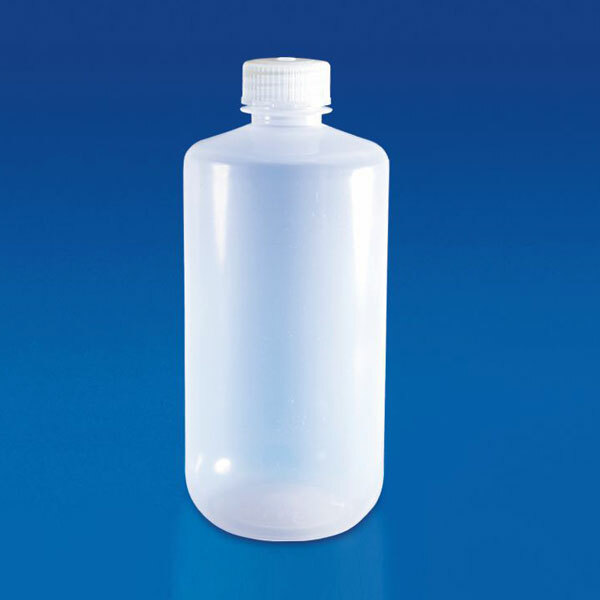 Our Narrow Mouth Reagent Bottle are available in Polypropylene. The PP Narrow Mouth Reagent Bottle is Rigid, Translucent and have an Excellent Contact Clarity. The Narrow Mouth Reagent Bottle can be autoclaved filled as well as empty. The Polypropylene Cap has a built in seal ring to make the Narrow Mouth Reagent Bottle Leak Proof.